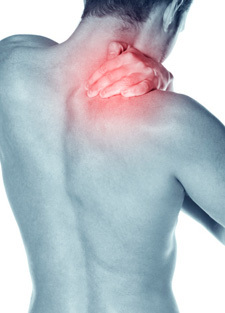 Shoulder pain can be a troublesome problem for many people, limiting strength, range of motion and function. Simply things like reaching for a mug in the kitchen can become painful and daunting tasks. Because the shoulder is such a complex structure with respect to its anatomy and biomechanics, there can be many reasons as to why your shoulder hurts. As always, the first step your chiropractor will take is to properly assess and diagnose your shoulder condition, then propose a treatment plan to address the pain and dysfunction you are experiencing. Imaging, such as an x-ray or ultrasound, may be helpful to make your diagnosis. However this is not always needed, nor beneficial to your recovery. Often when talking with people about shoulder pain, they are surprised to learn that a chiropractor would treat this area, thinking that chiropractors only treat spinal pain. As chiropractors specialize in musculoskeletal injuries, they are very equipped and knowledgeable about your entire body and its biomechanics. This includes hips, knees, ankles, wrists, elbows and even your jaw. Sometimes, correcting for dysfunction within the spine can be a part of your treatment plan, however regionally directed treatment will always be applied. When looking at the shoulder for example, numerous studies have shown that adjustments to the thoracic spine (mid-back) improves recovery time for shoulder disorders. Many chiropractors will also offer tissue specific treatments to the shoulder to help with local dysfunction. For example, at Optimum Health: Chiropractic, Massage & Fitness, we offer Active Release Technique (ART), extremity mobilizations and adjusting, clinical acupuncture and functional dry needling. Together, these treatment options are combined with a functional rehabilitation program for your to work on in between your office visits to help you stay strong and mobile. So don’t let shoulder pain stand in the way of you enjoying your favourite activities! There are options out there to help you with the pain.